I hope you all have a pawesome Christmas and you’re all snuggled up warm and enjoying the festivities with your nearest and dearest. I’m off to bed very soon because Santa Paws is on his way now! I’m so excited! Merry Christmas!!! « The eve of Christmas Eve! A very handsome Santa, he is! You make a great Santa, Bailey. Wishing you and your family a Merry Christmas. 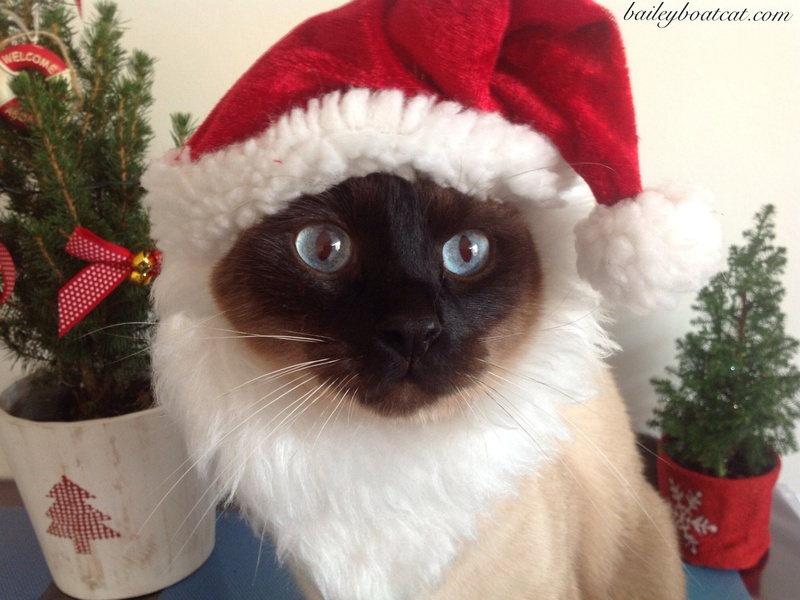 Merry Christmas, Bailey – you look great in your Santa Hat! You make a very good lookin’ Santa there Bailey.